Bryan: What would it take to get you to play World of Warcraft? So, you’ve just shattered a six year old game Blizzard Entertainment, what are you going to do next? 1. Release expansion packs that build upon the new Cataclysm content. Expansion packs are like the carrot on the end of a stick, enticing gamers to hang around for new content. Will there be new races and lands announced in the future? You betcha ya! 2. Find ways to further grow the current player base. Research into video game addiction and recruiting your grandma will no doubt be internally announced soon. “What are the kids into these days?”, they’ll ask. Hopefully the addition of Silly Bandz, Webkinz mini-games, or anything remotely related to cutsey talking animals are added to the Azerothian landscape. 3. With the release of Cataclysm, the ablity to fly all over the Warcraft world will finally be attained (or soI have been told/ lied to). The next logical step, in WoW’s development, will be to add an underground kingdom. Imagine riding around on mole mounts past vast underground cities and luminous lakes. Let the current Minecraft game/ craze be your guide! 4. In-game advertising! Always remember, a druid likes to be reminded of the latest hamburger available at Burger King. 5. Celebrity designed armor sets. Wait, never mind. 6. Drop the current monthly pay structure. Free is the way to be. *Inspired by Bio Breaks Where can World of Warcraft go from here article/ posty thing. World of Warcraft (WoW) is a literal monster. I remember the day it first appeared to me, looking all innocent in its shrink wrapped box. Little did I know that what dwelled inside was a digital narcotic that would end up stealing 3 months of my life. Wait. I should clarify that. I let World of Warcraft become my drug of choice; I let WoW rule my life. So there I was, home from college for the summer. My brain fried from finals and from having to drive from East Texas to Southern California. All I can say is that it was a long trip! All I wanted to do was sit back and relax for the summer. My parents, however, had other plans in mind for me. Everyday I was asked when I was going to start looking for a job. A job? I had just slaved myself to death over school and now they wanted me to get a job? I just couldn’t understand that–I do now that I have student loan payments–. So I set up my computer on the kitchen table, and I proceeded to play WoW day and night. That summer was long, filled with nagging, and looking back, a complete waste of my time. I had let a computer game become my escape from reality. World of Warcraft had become my monster. Today (10/22/10) marks the beginning of BlizzCon 2010. The hype train is chugging away at full steam, and Cataclysm is rapidly incoming (December 7th). At this junction, I find myself a tad conflicted. 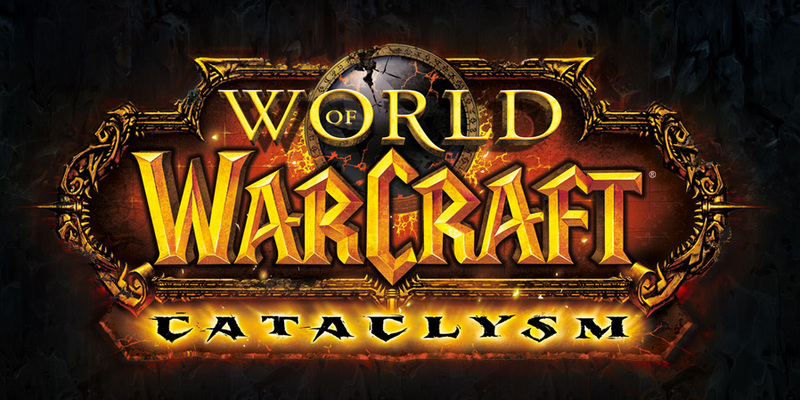 The excitement of friends clamoring for Cataclysm makes me want to go back and check out the game. However, I know that much has changed in my life. Since that wasted summer, I have gotten married, had a little boy, and overall (hopefully!) have grown up. I no longer feel that I have the time to seriously dedicate to World of Warcraft. Sure, I could log in and dabble around some, but I would be no closer to friends who are not at the same place in life as me. I think, at this particular junction, that WoW is just not for me anymore. I need a game where I do not feel guilt if I don’t play (due to paying $15 a month). I also need a game where I can quickly exit/ press a pause button and it won’t impact anyone (in-game). So I guess that this is goodbye WoW. Don’t bother coming around anymore. I don’t like hanging out with monsters.